We are creating a Clan Sinclair Centre, at Noss Head Lighthouse, with a Study Centre as part of our project. 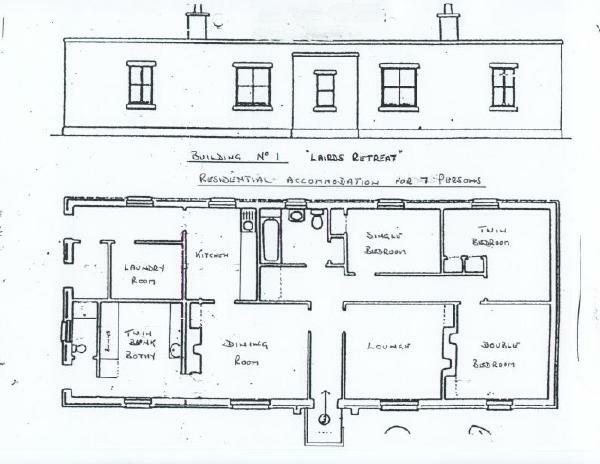 In the Study Centre, as well as a great number of historical books and documents, we also intend to include a genealogical section, that will help Sinclairs to trace their roots. The great castles of Sinclair and Girnigoe, the seat of our clan chief, Malcolm Ian Sinclair, are, as Richard says, in very poor condition, BUT not for much longer. A new Trust is in position with the Earl of Caithness at its head, and our intent is to restore as much of the castles as possible, with the cooperation of the agencies concerned and responsible for our Scottish Heritage. My name is Ian Sinclair, I live at the lighthouse at Noss Head, Wick, Caithness, Scotland. 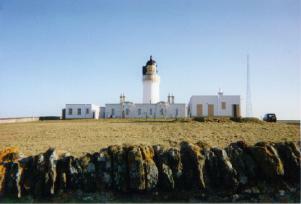 The lighthouse is next door to Sinclair and Girnigoe Castles, Which is the seat of our clan chief The Rt. Hon. Malcolm, Ian Sinclair. Just a few weeks ago a new Trust was formed to attempt to save the castles from any futher decay. The trustees are The Rt. Hon. Malcolm, Ian Sinclair. The Rt. Hon. Lord Thurso John Sinclair. Niven Sinclair. Euan Sinclair [Solicitor]. and myself. The task we have in front of us is by no means an easy one but our determination is 100%. we are hopful that we can involve a number of young unemployed from the area working with Master Masons, also possibly overseas students. Another area to be looked at is the educational input for the young people, teaching them why the castles were built, for what purpose, and by whom. That is just the begining, we are also going to build a residential Study Centre/Library into our lighthouse complex. We have at present over two hundred books in our collection, some very old and rare ones. I will attempt to keep you informed of the progress we make, in the meantime if any person is interested in our work please contact me on. Bringing up a family today can be very expensive so do not worry about sending large amounts of donations, that is not what the exercise is about. What we want is the involvement of many people sending what they can afford without detriment to themselves or connections. If we find that somebody is wealthy enough to make a large donation to the restoration then it will be gratefully received and faithfully applied. When we have had our castles certificates printed, we intend to send one to each person who has made a donation. We are also considering the possibility of having the names of large donations carved into stone at the Study Centre so they can be acknowledged by all our visitors.